Interested in starting a Middle School SkillsUSA chapter? SkillsUSA middle school programming has been part of Wisconsin technology and engineering programs dating back to at least the late 1980’s. On March 3, 2014, the SkillsUSA National Board of Directors voted to officially recognize a middle school division. As part of officially recognizing the middle school division, SkillsUSA held an national kick-off event in Wisconsin on October 30, 2014. Riverside Middle School represented Wisconsin very well in their performance of Opening and Closing Ceremonies and the ribbon cutting. SkillsUSA Fall Conference focuses on teaching students what SkillsUSA is, develops student involvement, understanding the program of work, and strategies to improve meeting attendance. Middle school students are allowed to compete in designated contests at District competitions. 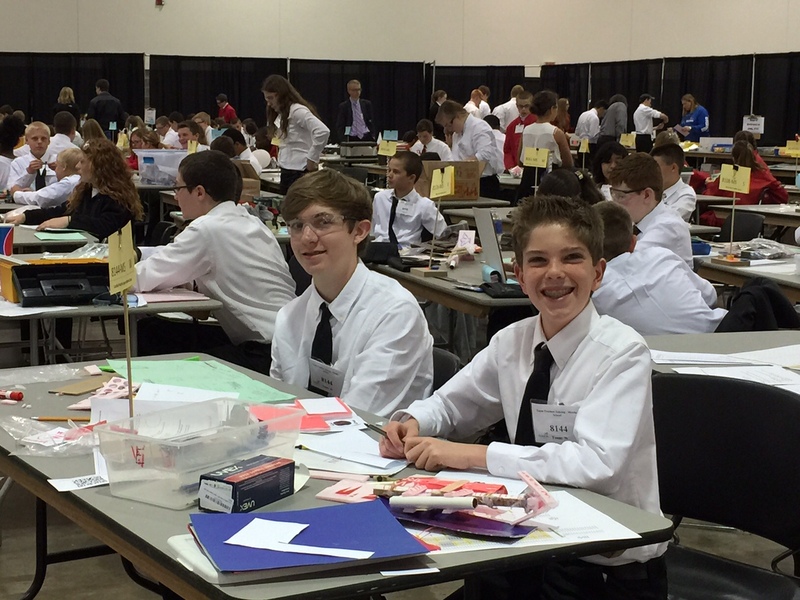 Middle school students are allowed to compete in designated contests at Regional competitions.